Capcom’s Resident Evil 2 remake is coming along nicely, but as we move close to its January 25 release date, fans are beginning to wonder what could be next for the series. Seriously, we’re impatient. Will Capcom stop remaking RE games with 2? Are they willing to talk about what they have planned next? During our Gamescom exploits we set off to find out. No matter how many creative ways I found to asked them about their next project, Capcom never slipped up and revealed anything they weren’t supposed to. So if they aren’t going to talk about previous projects, would they talk about past ones? I asked them about the original RE remake and the NES game that spawned Resident Evil in the first place. 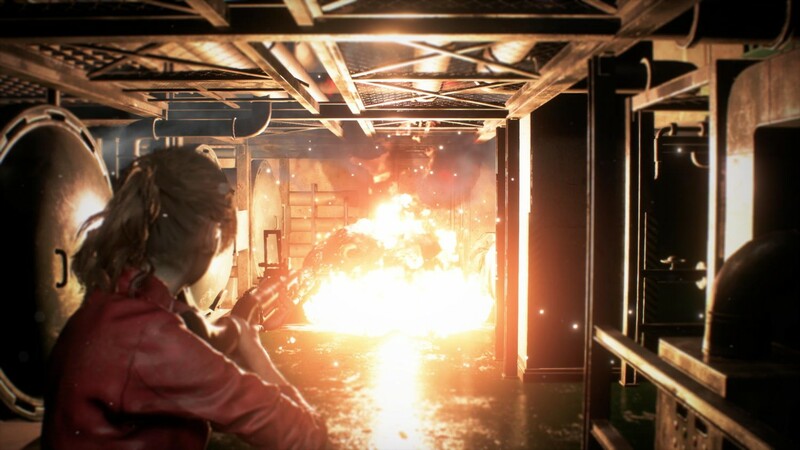 During my investigation I also learned that Capcom isn’t planning any story DLC for the RE 2 remake, or adding any new enemies, but Tofu will be back! I know what you’re thinking: hold on, did you have an interview with the RE 2 remake team, but you didn’t feel like it was worth transcribing the whole thing, so you crammed the most semi-interesting quotes into a single story? No. Don’t be absurd. In truth, I was just too lazy and tried to transcribe the whole thing. But trust me; everything I do is because I care and respect you as a reader. Now get out of my face and go read some hands-on impressions.